It is becoming more and more evident how insects, though possessing a much simpler brain than mammals, succeed in showing surprisingly complex adaptive behaviors that enable them to solve, concurrently, large variety of complex tasks: these are a real challenge even for the most advanced adaptive machine nowadays available. Adaptive locomotion, motor learning, attention, expectation, decision making, capability to distinguish "the same and the different" are just examples of the cognitive tasks easily solved by insects. The insect brain will be seen as a complex adaptive, non linear control system and the lecture will concentrate on an insect model organism: the fruit fly Drosophila melanogaster. The actual knowledge will be reviewed on the main neural structures in the drosophila brain involved in solving the tasks listed above. The most updated insect brain computational structure actually available will be reviewed, where the above mentioned skills can be shown. Simulations as well as real experiments, where robot behaviors are compared with the wild type and mutant drosophilae in focalised experimental setup, will be presented. Degree in Electronic Engineering and the Ph.D. in Electrical Engineering in 1990 and in 1994, respectively, from the University of Catania, Italy. Associate Professor of System Theory, Biorobotics and Bioengineering. Co-author of more than 260 technical papers, six books and several industrial patents. Research interests: adaptive and learning systems, neural networks and optimisation algorithms, cellular neural networks and collective behaviours in living and artificial neural systems for locomotion and perception control. Prof. P. Arena is a Senior Member of the IEEE, Chair elect of the Chapter of the IEEE Circuits and Systems Society, Central and South Italy, and served as an Associate Editor of the IEEE Transaction on Circuits and Systems-Part I in the period 2002-2003 and 2005. He coordinated several National and international research projects. 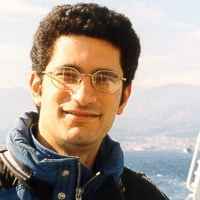 He was the coordinator of the EU FP6 and FP7 funded projects SPARKI and SPARK II “Spatial Temporal patterns for action-oriented perception in roving robots II: an insect brain computational model”. He actually participates to the EU Project EMICAB: Embodied motion intelligence for cognitive autonomous robots. Nanotechnology is developing along a pathway which is parallel to that of evolution. Nanocomposite biomimetic materials, new sensing devices, interconnection of living cells (organs) and circuits are boosting the development of complex integrated systems such as humanoids and animaloids, whose performances, either biomechanic or cognitive, are continuously improving. A number of new technologies is thus first developed for these advanced machines, and then transferred to humans. Roberto Cingolani is the Scientific Director of IIT since December 8th, 2005. 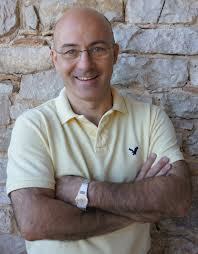 He earned a Ph.D. in Physics from the University of Bari in 1988. From 1989 to 1991, he was a staff member at Max Planck Institute for Festkörperforschung in Stuttgart (Germany). Since 2001, he has been member of various panels of the European Commission within the Sixth and Seventh Frame Programs in the field of Nanotechnology, New materials and New production systems. From 2002, he has been member of different panels of the Ministry of Research and University (Technical Secretariat for the National Research Plan, Commission for the selection the Centres of Excellence). From 2000 to 2003, he was executive Vice-president of the National Institute for the Physics of the Matter (INFM). Founder and Director of the National Nanotechnology Laboratory (NNL) of INFM at University of Lecce in 2001, R. Cingolani is author or co-author of about 700 papers in international journals and holds about 30 patents in the fields of structural, optical and electronic properties of quantum nanostructures of semiconductors, molecular nanotechnologies for plastic photonics, OLED e plastic electronic devices (since 2000), bio-nanotechnologies, biomimetic systems, biological electronic devices (since 2003) and smart nanocomposite materials. Computer vision is the science and technology of making machines that see. The talk will begin with an overview of the state-of-the-art in the 3R's of computer vision: registration, reconstruction and recognition and will include demonstrations of research projects from the University of Cambridge. and Toshiba Research Europe' s Cambridge Laboratory. The second part of the talk will introduce a novel digital interface - a talking head created by Toshiba Research Europe and the University of Cambridge. We have developed a system that can generate a realistic expressive talking head animation. The user enters input text and selects an expression such as 'happy' and 'angry' and the software makes a previously recorded face model talk at an unprecedented level of realism. The face and speech model was learned from a large training dataset where sentences are spoken with a number of different emotions. In addition to a neutral style, the corpus includes angry, happy, sad, tender and fearful expressions. The realism of the animation is achieved by novel training and face modelling algorithms. A key technology behind training the expressive “talking head” model is Cluster Adaptive Training (CAT), which allows flexible control over the expressiveness of both the voice and the face model. The new technology allows next generation interfaces. By combining speech and face video synthesis, so-called visual speech synthesis, interaction with computers will become more similar to interacting with another person. A demonstration will be included at the end of the talk. Professor Roberto Cipolla FREng is Professor of Information Engineering at the Unversity of Cambridge and the Director of Toshiba's (Toshiba Research Europe) Cambridge Research Laboratory. My work is focused on understanding the fundamental principles of living and evolving systems through experimental science. To this end, I build synthetic systems where dynamic life-like properties emerge when self-assembled systems are pushed away from equilibrium. I will present an experimental model of bottom-up synthetic biology: chemically-active oil droplets. This system has the ability to sense, metabolize and the potential to evolve. Specifically, I will present how sensory-motor coupling can produce chemotactic motile droplets and may form the basis for intelligent and self-replicating materials. In addition, I am involved with a new consortium to develop a robotic interface with feedback to maintain and manipulate the non-equilibrium state of the chemical systems in real time. This represents the integration of chemical, computational, and robotic artificial life. Martin Hanczyc is an Associate Professor at the Institute of Physics and Chemistry at the University of Southern Denmark. He formally was an Honorary Senior Lecturer at the Bartlett School of Architecture, University College London and Chief Chemist at ProtoLife. He received a bachelor’s degree in Biology from Pennsylvania State University, a doctorate in Genetics from Yale University and was a postdoctorate fellow under Jack Szostak at Harvard University. He has published in the area of protocells, complex systems, evolution and the origin of life in specialized journals including JACS and Langmuir as well as PNAS and Science. He is also a mentor for the first iGEM synthetic biology student team from Denmark. 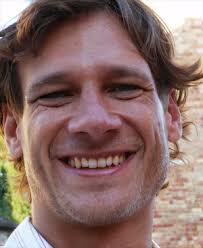 He is developing novel synthetic chemical systems based on the properties of living systems. Martin actively develops outreach for his research by giving several public lectures and collaborating with architects and artists in several exhibitions world wide including the Architecture Biennale in Venice Italy in 2010 to bring experiments out of the lab and into the public space. His approach to science has been integrative, multidisciplinary and publicly visible with over 20 press items including Nature News, Scientific American, Discovery Channel, and BBC Radio. Martin gave an invited public lecture at TED in 2011, which now has over 500,000 views. Embodied Artificial Life research has led to the development of playware defined as intelligent hardware and software that creates play and playful experiences for users of all ages. With recent technology development, we become able to exploit robotics, modern artificial intelligence and embodied artificial life to create playware which acts as a play force that inspires and motivates users to enter into a play dynamics. In such play dynamics, users forget about time and place, and simultaneously increase their creative, cognitive, physical, and social skills. The Playware ABC concept allows you to develop solutions for anybody, anywhere, anytime through building bodies and brains to allow people to construct, combine and create. Designing playware technology that results in specific behaviors of the user in not a trivial task, and it demands an array of background knowledge in a number of scientific fields. Indeed, definition of desired interactions and behaviors should arise from deep knowledge of the field of application (e.g. play of a specific user group, clinical knowledge of therapy of a specific patient group, professional music knowledge, and professional sport knowledge). In order to meet a practice, where several disciplines can join to develop such playware, and inspired by early artificial life work, we conceptualized the approach of modular playware in the form of building blocks. Building blocks should allow easy and fast expert-driven or user-driven development of playware applications for a given application field. The development of such modular playware technology takes its inspiration from modular robotics, human-robot interaction and embodied artificial life. In this talk, I will present the design principles for creating such modular playware technology with focus on the embodied AI principles that forms the foundation for the design principles of modular playware technology. I will exemplify the design principles with practical applications from the fields of play, sports, music, performance art, and health. 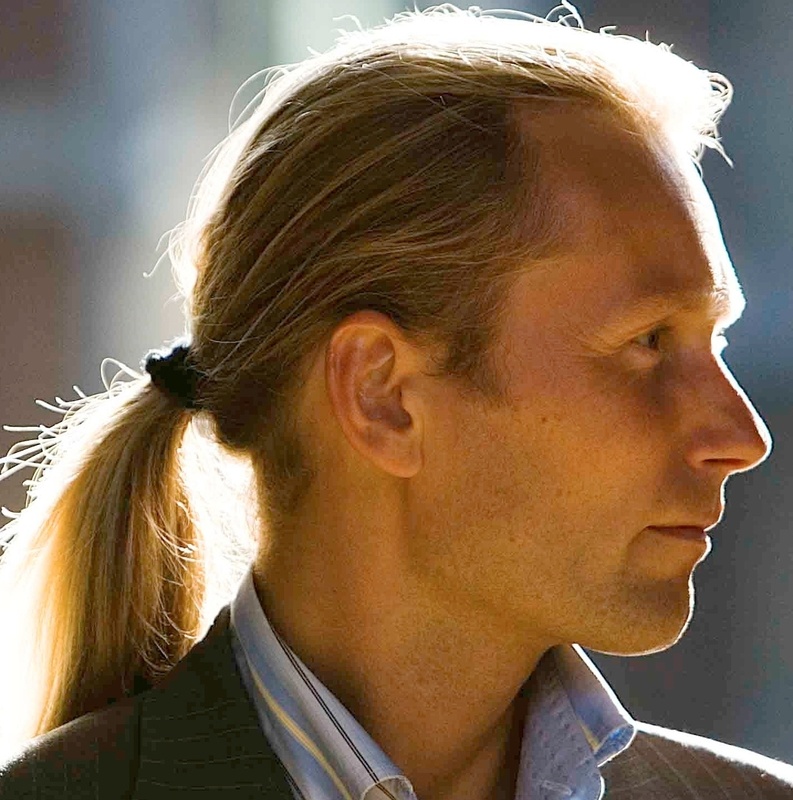 Professor Henrik Hautop Lund, Technical University of Denmark, is head of the Center for Playware. He is World Champion in RoboCup Humanoids Freestyle 2002, has developed shape-shifting modular robots, and has collaborated closely on robotics, ALife and AI with companies like LEGO, Kompan, BandaiNamco, etc. for the past two decades. His Center for Playware at the Technical University of Denmark has a long track record of developing modular playware for playful contextualized IT training in Sub-Saharan Africa and for playful rehabilitation of mentally and physically handicapped children and adult in rural areas of Sub-Saharan Africa. These modular playware technology developments include I-Blocks (LEGO bricks with processing power) and modular interactive tiles (larger bricks for physical rehab). Further, with the development of East-Africa’s first science and business park, local entrepreneurship has been fostered amongst students graduating from the university degree programs in contextualized IT. Combining such skills, it became possible to develop technical skill enhancing football games and global connectivity based on modular playware for townships in South Africa for the FIFA World Cup 2010. Lately, together with international pop star and World music promoter Peter Gabriel, it has been possible to develop the MusicTiles app as a music 2.0 experience to enhance music creativity amongst everybody, even people with no initial musical skills whatsoever. In all cases, the modular playware technology approach is used in a playful way to enhance learning and creativity amongst anybody, anywhere, anytime. Space missions often require technologies not yet available for earth applications. This talk will present the development of self-reconfigurable electronics for few real-world problems encountered in space applications: survival in extreme environment, high precision inertial measurement for navigation, and in-situ adaptive control for space instruments. Radiation and extreme-temperature hardened electronics is needed to survive the harsh environments beyond earth’s atmosphere. Traditional approaches to preserve electronics incorporate radiation shielding, insulation and redundancy at the expense of power and weight. This presentation will demonstrate the implementation of a self-adaptive system using a field programmable gate array (FPGA) and data converters which can autonomously recover the lost functionality of a reconfigurable analog array (RAA) integrated circuit (IC). The second application is related to the development of inexpensive, navigation grade, miniaturized inertial measurement unit (IMU), which surpasses the state-of-the art in performance, compactness (both size and mass) and power efficiency used by current space missions. The talk will explain a self-tuning method for reconfigurable Micro-Electro-Mechanical Systems (MEMS) gyroscopes based on evolutionary computation that has the capacity to efficiently increase the sensitivity of MEMS gyroscopes through in-situ tuning. Finally, we will address the path forward of using adaptive electronics for space. 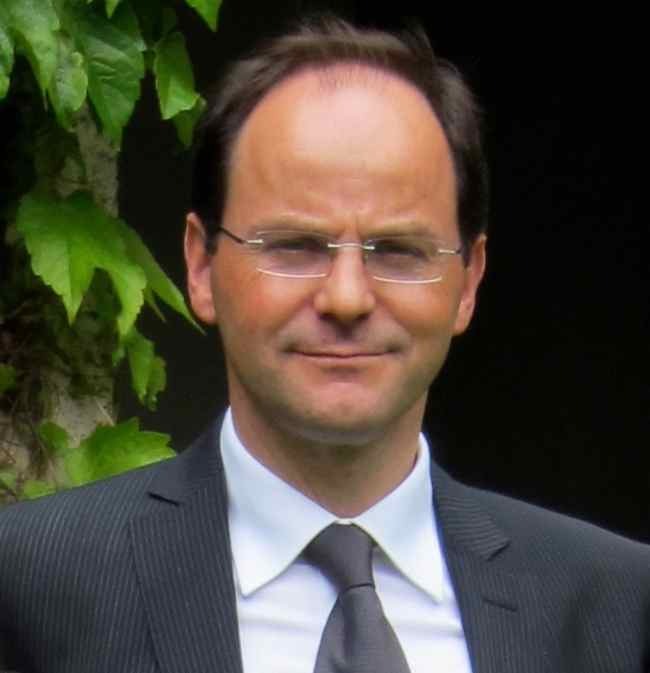 Didier Keymeulen joined the computer science division of the Japanese National Electrotechnical Laboratory as senior researcher in 1996. In 1998 he moved to the California Institute of Technology and is currently principal member of the technical staff in the Bio-Inspired Technologies Group. He is leading several research tasks on adaptive computing, fault-tolerant electronics, and autonomous and adaptive sensor technologies. He was the electronics test lead of the tunable laser spectrometer (TLS) instrument on the 2011 Mars Science Laboratory (MSL) rover mission to Mars. 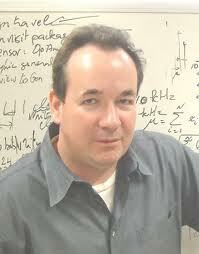 He serves as chair, co-chair, and program-chair of the NASA/ESA Annual Conferences on Adaptive Hardware and Systems. Didier received his BSEE, MSEE and Ph.D. in Electrical Engineering and Computer Science from the Free University of Brussels, Belgium. Science involves the generation of hypotheses and the testing of those hypotheses by experiments whose results are recorded in sufficient detail to enable reproducibility. We developed the Robot Scientist “Adam” to advance the automation of both these processes. Adam has autonomously generated functional genomics hypotheses about the yeast Saccharomyces cerevisiae, and experimentally tested those hypotheses using laboratory automation. We, and others, have manually confirmed Adam's conclusions using additional experiments. To describe Adam's experiments we developed an ontology and logical language. The resulting formalisation involves over 10,000 different research units in a nested tree-like structure, ten levels deep, that relates the 6.6 million biomass measurements to their logical description. This formalisation describes how a machine discovered new scientific knowledge. We have now developed a second Robot Scientist, “Eve”. Like Adam, Eve is a laboratory automation system that uses artificial intelligence techniques to discover scientific knowledge through cycles of experimentation. Eve automates the screening of candidate drugs, hit confirmation, and lead generation through QSAR learning and testing. Econometric modelling has identified the conditions where Eve outperforms standard automation. The second advance is the development of assays based on cellular analog computers. These utilize Saccharomyces cerevisiae synthetic biology to compute arbitrary Boolean functions of compound properties. These advances have enabled us to reposition multiple compounds as drugs likely to be effective at inhibiting specific enzyme targets in parasites causing tropical diseases. Steve Oliver started to work on yeast as a graduate student and has studied it ever since, with occasional excursions into the filamentous fungi and even Streptomyces bacteria. The yeast genome-sequencing project was initiated in his lab in the mid-1980's when he started to sequence chromosome III. This turned into a major European Project, which eventually led to the sequencing of the entire yeast genome. He then took up the challenge presented by all the genes of unknown function revealed by the genome sequence, leading the EUROFAN Consortium that pioneered many of the 'omic and other high-throughput technologies in current use. His lab is dedicated to unravelling the workings of the yeast cell, using both top-down and bottom-up systems biology strategies. He is also concerned with developing yeasts as systems to both understand and combat human diseases, including through the use of automated (“Robot Scientist” methods in collaboration with Ross King’s group in Aberystwyth). Finally, he takes an interest, at both the bioinformatic and experimental levels, in the evolution of genomes and networks, and is starting to apply this to mammalian systems. The models and experimental systems he uses with yeast sometimes lead in unexpected directions, such as predicting the impact of gene copy number variation in cancer, constructing network models to identify genes important in Alzheimer’s Disease, or using yeast “surrogates” to screen for drugs against parasitic diseases. Whole genome sequencing has enabled us to understand the basic gene portfolio of living cells. A class of gene products that are well known are metabolic enzymes. Based on genome annotation and legacy data it has become possible to reconstruct metabolic networks. These networks are amenable to modeling as systems and have given the basis for in silico cells that are the best representation of their living counterparts. We will discuss the conceptual basis for this field, the difficult and laborious process of network reconstruction, and give examples of the use of in silico cell simulations. Professor Palsson earned a Ph.D. from the University of Wisconsin in 1984. He held a faculty position at the University of Michigan from 1984 to 1995. He has been with UCSD since 1995. He is the author of over 350 peer reviewed scientific articles. He co-authored the text TISSUE ENGINEERING, Prentice Hall in 2004, and wrote SYSTEMS BIOLOGY: properties of reconstructed networks, Cambridge University Press in 2006, and SYSTEMS BIOLOGY: simulation of dynamic network states, Cambridge University Press in 2011. He sits on the editorial boards of several biology, bioengineering and biotechnology journals. Professor Palsson current research at UCSD focuses on 1) the reconstruction of genome-scale biochemical reaction networks (metabolism, transcriptional regulation & signaling), 2) the development of mathematical analysis procedures for genome-scale models (constraint-based and dynamic models), and 3) the experimental verification of genome-scale models with current emphasis on cellular metabolism and transcriptional regulation in E. coli, human pathogens, and organisms that are environmentally & bioprocess importance. He received an Institute of International Education Fellowship in 1977, Rotary Fellowship in 1979, a NATO fellowship in 1984, was named the G.G. Brown Associate Professor at Michigan in 1989, a Fulbright Fellow in 1995, an Ib Henriksen Fellow in 1996, the Olaf Hougen Professorship at the University of Wisconsin in 1999, the Lindbergh Tissue Engineering award in 2001, was named the Galetti Chair of Bioengineering in 2004, was elected into the National Academy of Engineering in 2006, received the UCSD Chancellor's Associates award in Science and Technology in 2006, and was selected as the developer of one of the most influential technologies on Biotech over the past 10 years by Nature Biotechnology (March 2006). He was the Richard S.H. Mah Lecturer at Northwestern University in 2007, received the Ernst W. Bertner Memorial Award, from the MD Anderson in Houston in 2008, an honorary doctorate from Chalmers University in Gothenburg, Sweden, in 2009, the Marvin Johnson Award from the ACS in 2010, elected fellow of the AAAS on 2011, and received the ASM Promega Biotechnology Research Award in 2012. 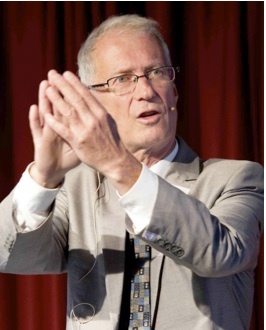 Professor Palsson is an inventor with over 35 U.S. patents, many of which are in the area of hematopoietic stem cell transplantation, cell culture technology, bioreactor design, gene transfer, cell separations, high-throughput single cell manipulation, pedigree-controlled drug screening, network reconstruction, laboratory adaptive evolution, in silico model building and metabolic engineering. He co-founded a biotechnology company, AASTROM BIOSCIENCES (NASDAQ: ASTM) in 1988, where he served as the Vice President of Developmental Research for two years. Dr. Palsson is the founder and co-founder of ONCOSIS, a company that was focused on the purging of occult tumor cells in autologous bone marrow transplants, renamed as CYNTELLECT, focusing on instrumentation for high-throughput screening and in situ cell sorting and processing, GENOMATICA, a company that is focused on the production of commodity chemicals by fermentation (a spin-off from UCSD), and GT LIFE SCIENCES, an in silico biology (a spin-off from Genomatica). Researchers from robotics and artificial intelligence increasingly agree that ideas from biology and self-organization can strongly benefit the design of autonomous robots. Biological organisms have evolved to perform and survive in a world characterized by rapid changes, high uncertainty, indefinite richness, and limited availability of information. The term "Soft Robotics" designates a new generation of robots capable of functioning in the real world by capitalizing on "soft" designs at various levels: surface (skin), movement mechanisms (muscles, tendons), and interaction with other agents (smooth, friendly interaction). Industrial robots, in contrast, operate in highly controlled environments with no or very little uncertainty. By "outsourcing" functionality to morphological and material characteristics - e.g. to the elasticity of the muscle-tendon system - the distinction between control and to-be-controlled, which is at the heart of manufacturing and control theory, breaks down and entirely new concepts will be required. In this lecture I will argue that the next generation of intelligent machines – robots – will be of the “soft” kind and I will explore the theoretical and practical implications, whose importance can hardly be over-estimated. I will be using many examples and case studies. In particular I will be introducing the tendon-driven “soft” robot “Roboy” that we have been developing in our laboratory over the last few months. Although many challenges remain, concepts from biologically inspired “soft” robotics will eventually enable researchers to engineer machines for the real world that possess at least some of the desirable properties of biological organisms, such as adaptivity, robustness, and versatility. Master’s degree in physics and mathematics and Ph.D. in computer science (1979) from the Swiss Federal Institute of Technology (ETH) in Zurich, Switzerland. Three years as a post- doctoral fellow at Carnegie-Mellon and at Yale University in the US. 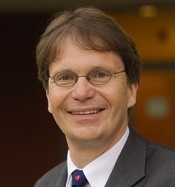 Since 1987: professor of computer science at the Department of Informatics, University of Zurich, and director of the Artificial Intelligence Laboratory. Visiting professor and research fellow at the Free University of Brussels, the MIT Artificial Intelligence Laboratory in Cambridge, Mass., the Neurosciences Institute (NSI) in San Diego, the Beijing Open Laboratory for Cognitive Science, and the Sony Computer Science Laboratory in Paris. Elected "21st Century COE Professor, Information Science and Technology" at the University of Tokyo in 2004. In 2009: visiting professor at the Scuola Superiore Sant'Anna in Pisa, and at Shanghai Jiao Tong University in China; appointed "Fellow of the School of Engineering" at the University of Tokyo. Currently: Deputy Director of the NCCR Robotics, the "National Competence Center for Research in Robotics" in Switzerland. Research interests: embodied intelligence, biorobotics, morphological computation, modular robotics, self-assembly and educational technology. Authored books: "Understanding Intelligence", MIT Press, 1999 (with C. Scheier), "How the body shapes the way we think: a new view of intelligence," 2007 (with Josh Bongard) MIT Press (popular science style), "Designing intelligence - why brains aren't enough" (short version - with Josh Bongard and Don Berry, e-book), and "La révolution de l'intelligence du corps", 2012 ("The revolution of embodied intelligence"; with Alexandre Pitti) (in French). Lecture series: “The ShanghAI Lectures”, a global mixed-reality lecture series on embodied intelligence, broadcast in 2012 from the University of Zurich, and Shanghai Jiao Tong University, China in cooperation with other universities from around the globe.